Nutty and I had a half hour to ourselves the other day and she wanted to do something neat. Unfortunately a half hour is not a lot of time so I got on Pinterest to see if there was something quick we could try. I came across a jellyfish in a bottle. The site that the pin linked to only had photos that appeared to be from another blog so I will link to the pin and not the site. 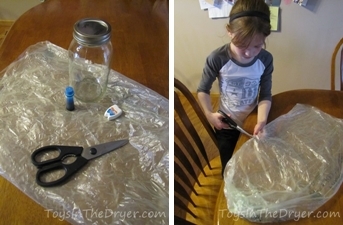 We then cut the bag to make it a little smaller because it was just too big. 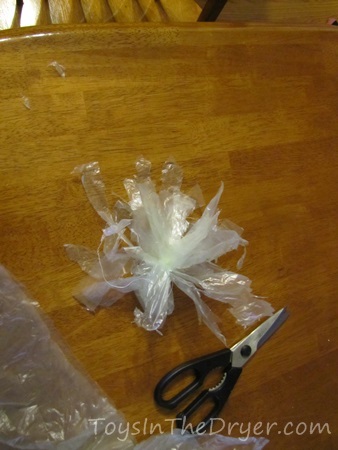 Following the photos of the pin, we tied off part of the bag to make a “body” then began to cut the tentacles. 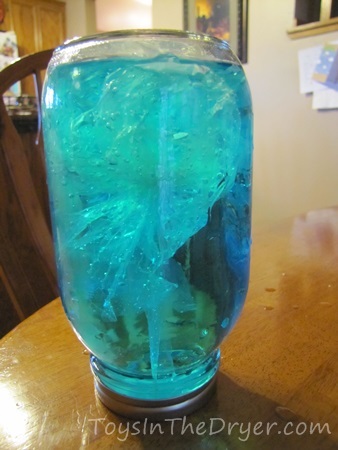 Time to fill up our jar and dye the water blue. Technically you don’t have to dye the water but it makes for a good effect. 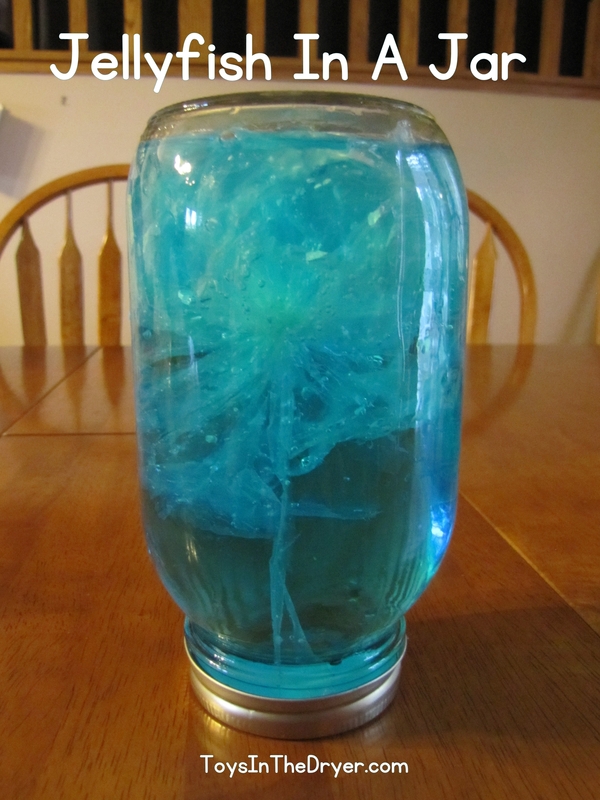 After the jar is near full, stuff the jellyfish into the jar then close it. Oops! 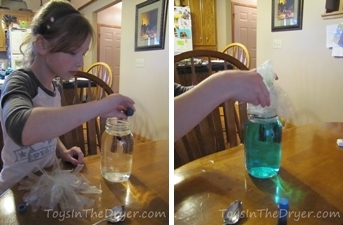 We forgot to put a little bit of water in the “body” before we completely tied it off and stuffed it in the jar! In hindsight, we should have cut out a lot of the tentacles and had just a few. Our jellyfish did NOT look as cool as the ones in the pin did and I think it was because we had too “fluffy” of an animal.